This emerald-green oil is cold pressed and has a slightly spicy, hazelnut taste. 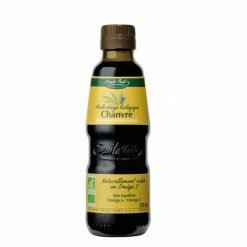 Its nutritional benefits include its particularly well-balanced composition of Omegas 6 and 3 (Omega 6 to 3 ratio of 2.5). It also naturally contains Omega 9, is naturally rich in vitamin E, and is a recognised natural antioxidant.